Turn It Up! 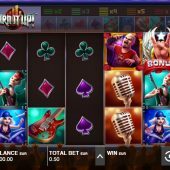 slot is a rock music-inspired title from Push Gaming, joining other games such as the popular Blaze of Ra and the medieval Dragon Sisters. The game comes packed with iconic rock symbols, such as guitars, microphones, band members and fans. The reel enhancers in Turn It Up! can convert ordinary symbols into Wilds or add multipliers into winning lines. The free spins bonus in the game can offer big winning opportunities. 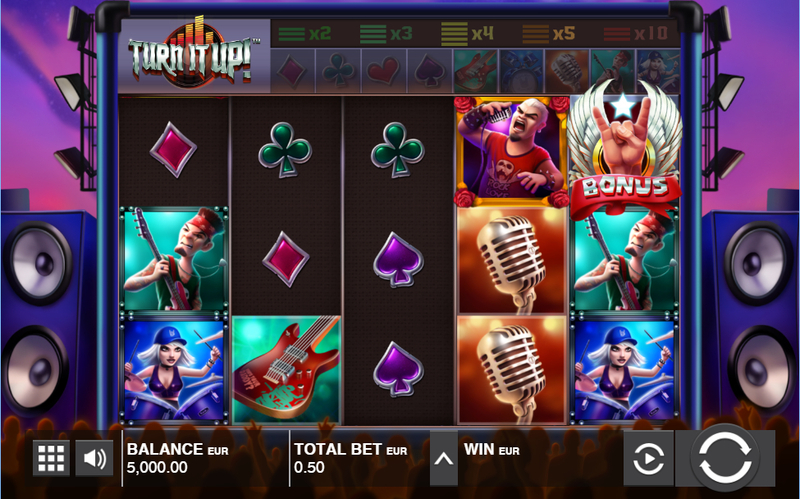 There is also a Win Spin Bonus which can increase payouts by as much as 10x. This game is not a pinch on KISS from WMS, but its certainly challenges other slots like Motorhead from NetEnt or Shamrockers from IGT in this genre.